Dessert for breakfast. Works for me! 200 calories for the whole darn bowl (minus the Luna Bar)! 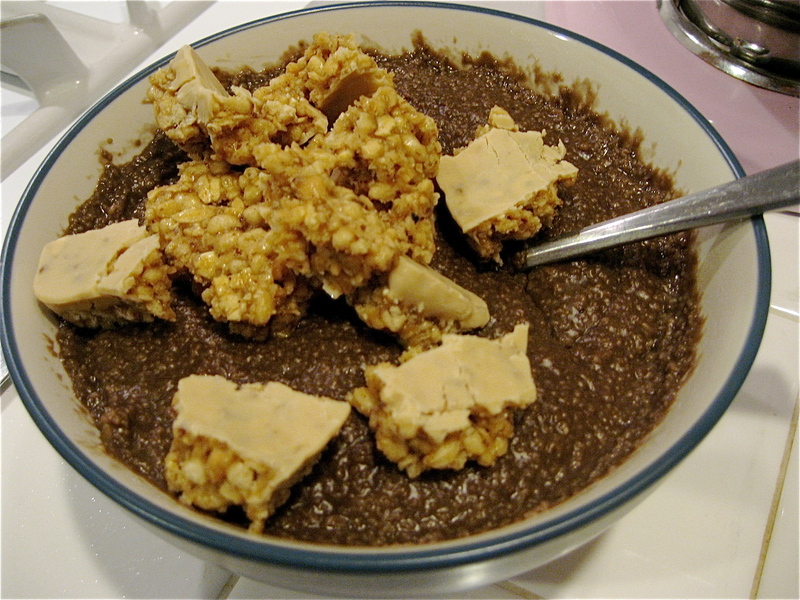 Combine oat bran, almond milk, water and cocoa powder in small pot over medium heat. Whisking frequently, bring to a boil and cook for one minute, or until desired consistency. Oh my heart this was so good. Reminded me of eating brownie dough as a kid. 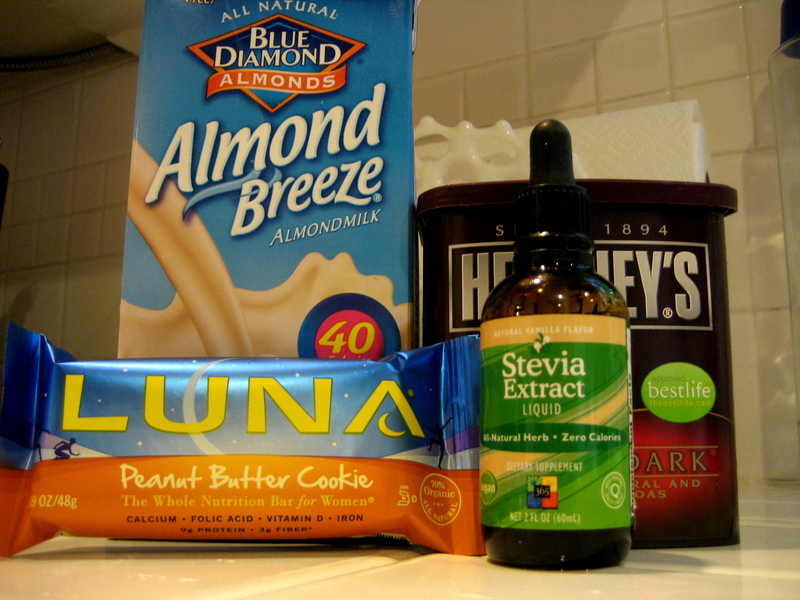 I added a peanut butter cookie Luna bar, which was amaze balls. I think when I make this for husband tomorrow, because he’s not eating sugar these days I will add a tablespoon of almond butter and some sliced almonds for crunch. If you wanted to be more decadent, which you totally can, I would add a pat of light butter and some chocolate chips…guess who’s having oat bran for lunch?